The days when Cleveland, Ohio was derisively deemed “the mistake on the lake” are history. Far from being a dirty industrial dump, Cleveland has recreated herself into an urban epicenter that is one of the top ten travel destinations for European tourists visiting the USA as well as a booming business center. Cleveland has many great lodging packages; choose from Ohio resorts, luxury hotels, inns, lodges and more. The Ohio lodging choices include web-only specials from major chain hotels. Find outstanding Ohio hotel deals by following the links below. 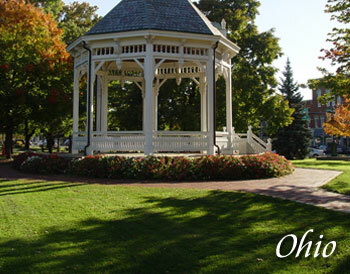 Contact us to feature your Ohio hotel or lodging property. Nicknamed the Rock n’ Roll Capital of the World, Cleveland offers many attractions for locals and visitors alike. From the Rock and Roll Hall of Fame and West Side Market to art museums, stadiums, zoos and arenas, there’s something for everyone to do and great lodging options for you to choose from. Ranked as one of America’s 50 Best Cities by Business Week Magazine in 2012, Columbus OH is the capital and largest city in Ohio. From Columbus Crew Stadium and Nationwide Arena to Franklin Park Conservatory and the Columbus Museum of Art, this list of things to do in this beautiful Ohio city is almost as large as the city itself.